The idea for a series on Classical Receptions in Twentieth-Century Writing (CRTW) first came into being in 2015. Early that year, I was intrigued when Alice Wright from Bloomsbury Publishing asked me if I would like to direct a monograph series which combined my interests in modernist classicisms with Reception Studies, especially in the light of some recent rethinking on Reception that had taken place at Bristol Classics and Bristol’s Institute of Greece, Rome and the Classical Tradition during 2014-15. While the prospect of working as the sole editor of such a large project was new territory for me, I was very much encouraged by this unique opportunity. Firstly, because the project would create a new interdisciplinary space for those working on classical antiquity and twentieth-century literary and cultural studies. And, secondly, because the series would be the first to explore the modalities and textures of twentieth-century classicisms in the works of authors recognized for their global impact on modern poetics, philosophy, politics and the arts. 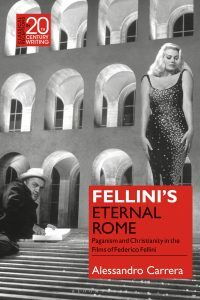 Perhaps most exciting of all was the prospect of designing a series which would approach this theme from two distinct yet interrelated perspectives: the central question raised by CRTW is how twentieth-century authors’ appeals to the classical past open up new understandings of their oeuvres and contexts, and how this process in turn renders new insights into the classical world. So, if one considers a writer like Jorge Luis Borges, the task would not simply be to trace classical antiquity in Borges, but crucially to put classical antiquity and Borges in conversation with one another, so as to open the study to dynamic and interdisciplinary discussions for readers of Classics and the literary tradition of modernist Argentina. Another key feature of the series is its extensive range. CRTW looks at both Anglophone and non-Anglophone writers from modernities around the globe, as well as writers still or until recently active in their field. From Joyce, Seferis and Walcott to Fellini, Foucault and Tony Harrison and beyond, the authors in the series are considered primarily as writers whose interest in antiquity has contributed to a significant revision of aesthetics, philosophical and political thought, identity studies, gender studies, translation studies, visual culture, performance studies, urban studies and cultural criticism, amongst other areas of knowledge. In this sense, CRTW aspires to promote a new intellectual dialogue and critical direction for those producing multidisciplinary research on Twentieth-Century Studies with a focus on Classics and vice versa. The series furthermore aims to re-energize aspects of reception premises and practice. Over the last two decades, Classical Reception has developed broadly into four main fruitful areas of investigation: periods and/or movements (e.g. Humanism; the Enlightenment; the Victorians), media (e.g. film; sculpture; painting; the stage; musicology; comics), theory and criticism (e.g. psychoanalysis; gender studies; deconstruction; postcolonialism); and geopolitical regions (e.g. Africa; the Caribbean; Latin America; Eastern Europe; Australasia). These lines of enquiry have been instrumental in shaping methodological agenda and directions, as well as offering tremendous insights into discourses of Greco-Roman antiquity in space and time. Yet, within the histories of classical receptions focusing on periods and regions, the twentieth century has been underexamined as a thematic unit. On the one hand, there has been a preponderance of focus in studies in English on Anglophone, Francophone and Germanophone receptions. This has been in part corrected by postcolonial reception studies with a focus on geopolitical regions outside of Western Europe. What has been missing is a perspective that combines not only an appreciation of non-Western receptions, but also an understanding of these reception phenomena within a global, and not merely regional, framework. CRTW seeks to address this tangible gap, moving beyond isolated treatments and into full-scale investigations of authors recognized both for radical re-readings of the classical past and for challenging received ideas about the identity and cultural mobility of antiquity in the Western tradition. Interdisciplinarity is at the heart of such a reconsideration of reception in the series. Instead of treating reception as a sub-discipline of Classics, or as an expansion of the disciplinary boundaries of Classics, CRTW conceives reception as a hub for exchange amongst multiple subjects, disciplinary practices and modes of scholarly expertise. It addresses some of the most profound shifts in practices of reading, writing and thinking in recent years within the arts and humanities, as well as in the poetics of reading the classics that one finds in twentieth-century writing itself. 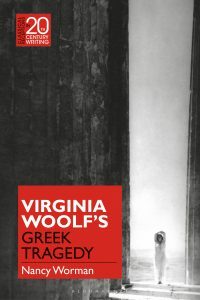 The series launched last November with two innovative and theoretically informed volumes on Virginia Woolf’s Greek Tragedy by Nancy Worman and Fellini’s Eternal Rome by Alessandro Carrera. 2019-2023 will see the publication of James Joyce and Classical Modernism by Leah Flack, Derek Walcott: A Caribbean Classical World by Justine McConnell, T. S. Eliot: Classicist by Charles Martindale, George Seferis: Classical Memory, History and the Archive by Martha Klironomos, Silvia Plath and the Classics by Holly Ranger, The Fire-Eating Laureate: C. Day-Lewis and Virgil by Henry Stead, Foucault’s Seminars on Antiquity: Learning to Speak the Truth by Paull Allen Miller, and Tony Harrison: Poet of Radical Classicism by Edith Hall. Looking ahead, we will be considering proposals on Classics and Gore Vidal, Hannah Arendt, Theodor Adorno, Christa Wolf and the Argentinian poet Silvina Ocampo. Stay tuned! For more information about the series Editor, please see here. If you are interested in submitting a proposal to Classical Receptions in Twentieth-Century Writing, please contact the series Editor, Laura Jansen (laura.jansen@bristol.ac.uk) or the Publisher for Classics & Archaeology at Bloomsbury Academic, Alice Wright (Alice.Wright@Bloomsbury.com). Laura Jansen is Senior Lecturer in Classics & Comparative Literature at the University of Bristol, UK. She works on classical language, literature and culture, as well as on the field of Global Classics and the tradition of classical antiquity in twentieth- and twenty first-century writing. She is series editor of Bloomsbury’s new series Classical Receptions in Twentieth-Century Writing. Her main publications include The Roman Paratext: Frame, Texts, Readers (2014) and Borges’ Classics: Global Encounters with the Graeco-Roman Past (2018). She is currently writing a second monograph, titled Classical Absences: Italo Calvino, Umberto Eco and Alberto Manguel.